"My lord!" the helot wailed form a hundred feet away. "My lord! They broke! The Phocians broke! The Immortals are coming down the track! The Phoecians broke!" The boy reached him, sobbing for breath and from terror. "I tried, my lord. I swear! But in the dark, I lost the track! 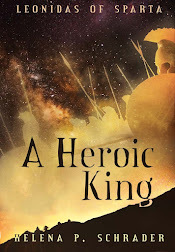 By the time I reached the Phocian position, the Immortals were already upon them." Leonidas just stared at the helot youth. He ws covered with cuts an scratches. The soles of his feet were raw, his hands bleeding. If he had wanted, he could have just disappeared into the mountains -- without warning the Phocians -- let alone bringing word to him here. No one would have ever known. "You can kill me if you want, my lord, but I wanted you to know...."
Leonidas nodded numbly. They were all going to die. Today. It had always been a possibility. He had taken that risk. Now it was a certainty. Chi, Euryleon, didn't I tell you you wouldn't have long to wait? Buy why Alkander, too? Why Oliantus? Why Maron and Alpheus? The camp was waking up to a new day. Gylis' approach had attracted the attention of other. Men started to converge on Leonidas. Men were asking Megistias what was wrong, what the signs had been. Isanor was beside him. 'Do we need to reinforce the Phocians?" Leonidas shook his head. "It's too late. The Immortals have broken through." "What? And the Phocians didn't even send for us?" "They were asleep," Gylis gasped out, still panting, "caught sleeping. I don't think they--"
Demophilus arrived with several other allied commanders. "What has happened? What's the matter?" "The deserter was telling the truth," Leonidas told them. They stared at him blankly for a second. Then Demophilus echoed Isanor: "Then we must reinforce at once. I'll have my Thespians--"
"There's no need, Demophilus." Leonidas was utterly calm. In his heart, he was already dead, and that made it easier.. "The Phocians broke. The Immortals are already in our rear. The Pass has been turned. We must send word to Themistocles at once." 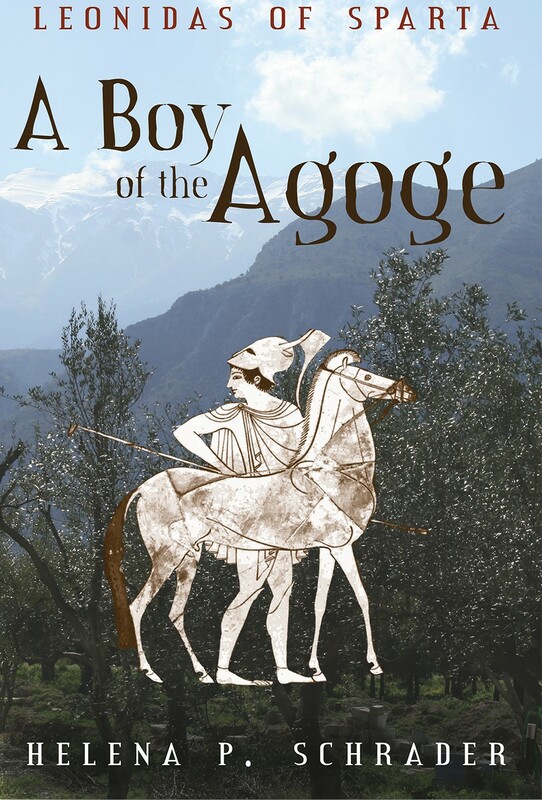 Leonidas was looking around for the helot boy who had brought him the ram, while around him the other commanders were cursing and questioning, doubting and denying. "Boy!" Leonidas had caught sight of him. "Fetch me the captain of the Athenian tiaconter at once!" "We must withdraw immediately!" The Corinthian demanded, seconded by the Mantineans and Tegeans and some of the Arkadians. "Cowards!" Demophilus countered furiously. "The Pass is still defensible -- we just have to defend both ends! We can hold the West Gate as we have up to now with a thousand men, and put another thousand inside the East Gate." "Yes, exactly!" the Theban supported him. "What? All of us crushed together between the two Gates? We have nothing to eat in there! Nowhere to rest! No fresh water!" Leonidas was thinking it through for himself. If they had two thousand men fighting at any one time, every man would be on the line every other hour. They might hold out for one day, but not the four they needed. He raised his hand, and the others fell silent at once. "The bulk of the army should withdraw at once. The Immortals will close off your retreat in a matter of hours. You must pull out now and put as much distance between yourselves and Thermopylae as possible -- enough so the Persian cavalry can't overtake you. Abandon everything you can't carry." His words were met with stunned silence. No one had ever expected the Spartan king to order a withdrawal. But after they recovered from their shock, the Arkadian commanders did not wait to be told twice. The Corinthians and Mantineans were close at their heels. 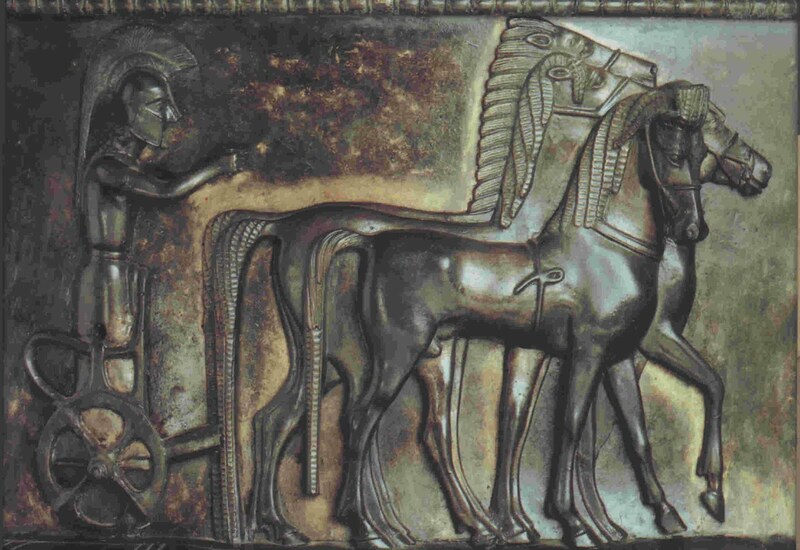 Isanor, Demophilus, and the Theban Leontiades, however, didn't move. They stared at Leonidas, horrified, until Demophilus asked softly, "What about you? What about the Lacedaemonians?" Leonidas felt weak, yet detached. His emotions were numbed. Kastor had told him he would know when his time had come. It had come. "Someone has to hold the Pass long enough to give the rest of you timem to withdraw. Otherwise, as I said, the Persian cavalry will overtake and slaughter you in the open, where you won't have a chance." "But you have a city you can defend," Demophilus countered with dignity. "We do not. My Thespians will hold Thermopylae. Take the Lacedaemonians south so they can fight in the days and weeks ahead." Leonidas was moved by the offer. He reached out his hand in gratitude, and Demophilus too it. "You did your best, Leonidas," the Thespian continued. "No one but you could have held them this long. But if Thermophylae is lost, so is Thespiae. We have no home to return to. We might as well die here." "And so will we," Leontiades spoke for the Thebans as well. Dienekes and Diodoros ran up. "The allies are spreading rumors and threatening to pull out!" Dienekes announced in evident outrage. Leonidas shook his head. "They are under orders to pull out--"
"The Phocians broke. The Immortals are just hours away from closing off the road south. I've given the order to withdraw." Diodoros and Dienekes gaped at him, while Kalliteles and Oliantus trotted up. "Sir! Have you heard? The allies are packing up and pulling out. It's total panic out there! We must...." He fell silent and looked at the stunned, lifeless faces of the men standing around his commander. "What is it?" This time Diodoros provided the explanation. Leonidas was staring at Oliantus. "I'm sorry," he mouthed. "I'm so sorry." "What are you waiting for, Leonidas?" Demophilus urged. "There is very little time. Take your Lacedaemonians out, and we'll make the Persians fight for the Pass and pay dearly for each of us. We'll delay them as long as humanly possible." "There's no hurry," Leonidas answered with a glance toward the sun, which was now a copper disk already a hand's breadth above the horizon. "I'm not going anywhere -- and whether I like it nor not, my Spartans are not going to abandon me." "You're damned right, we're not!" Dienekes confirmed. 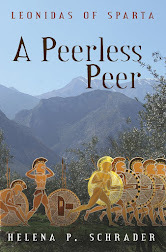 "That doesn't apply to the Perioikoi," Leonidas pointed out, turning to Isanor. "Take all your men, the helots, and Megistias back to Lacedaemon." Isanor hesitated. "We're still over eight hundred strong, my lord. We'd almost double your force." Leonidas was shaking his head. "Whether we're one thousand or five thousand, we're about to be crushed. Take the Perioikoi home with my blessings -- I'll put it in writing if you like, to ensure no one at home tries to twist facts. I'll also send a messenger to Brotus and Leotychidas to halt the march north of the Isthmus. Have we got a good long-distance runner?" Leonidas looked automatically to Oliantus. "Yes, I have two runners we can send." "Good. I'll write and seal the dispatches. And pass the word to the Spartiates," he added to Diodoros, Dienekes, and Kalliteles, "to eat a hearty breakfast, as we'll be dining in Hades." No Spartan has left a larger footprint in history and art than Leonidas. 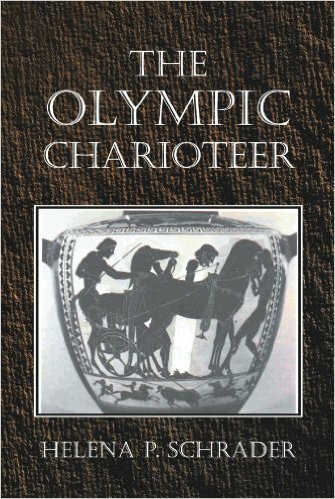 Not the commander of the Spartan army that actually defeated the Persians, Pausanias, nor the Spartan that eventually defeated Athens after the gruesome thirty-years war, Lysander, are half so well remembered . Lycurgus and Chilon are familiar names only to classical scholars; Leonidas is a cult and comic-book hero, not to mention there is a chocolate company named for him. Leonidas was, of course, a legend in his own time. 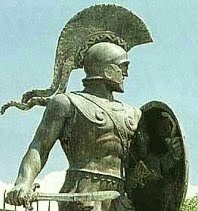 The Spartans built him a monument at Thermopylae, notably separate from the monument to the rest of the 300, and a second monument was built to him at home in Sparta as well. His body was brought home after the Persians had been driven out of Greece. But, unless it is an accident of archeology, larger monuments were built to the victors Pausanias and Lysander than to Leonidas. In short, Leonidas’ appeal appears to have been greater in the modern world than the ancient. This might have many explanations – starting with the political agenda of his successors (or those who controlled his immature son) or discomfort with commemorating a devastating defeat. The modern world, perhaps influenced by the Christian tradition of honoring sacrifice, is impressed by Leonidas’ defiance and devotion to duty more than his defeat. 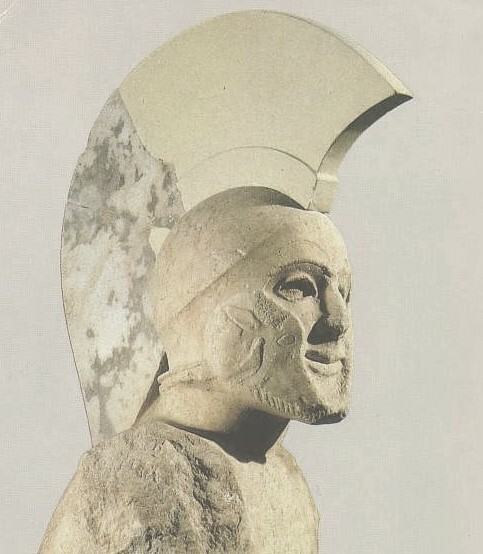 There is also a modern tendency to assume that Leonidas’ behavior was “typical,” that he was indeed only doing what Spartan society expected of him, or acting “in accordance with the law.” This assumes that Spartans were “never” allowed to retreat and always chose death over either retreat or surrender. The Spartans, of course, knew better. Sparta had suffered many severe defeats before Thermopylae, and in no other did an entire fighting force die to the last man for a lost cause. For example, there is good reason to believe that Sparta lost the First Messenian War, and it was ensuing economic and social dislocation that led to unrest and revolution. Certainly, Sparta was given a resounding thrashing by the Argives at Hysiai in 669 BC, but even so the Spartans retreated rather than die to the last man. Roughly one hundred years later, Sparta again over-reached herself in an attempt to conquer Tegea, and again there were survivors; they were enslaved in Tegea and forced to do agricultural labor for Tegean masters. In 525 BC, a Spartan expedition against Samos likewise ended in humiliating defeat, but not the extermination of the expeditionary force. Finally, in the reign of Leonidas’ half-brother Cleomenes, a Spartan force under Anchimolius was attacked by Thessalian cavalry 1000 strong at Phalerum, and, according to Herodotus, “many Lacedaemonians were killed…and the survivors driven back to their ships.” Note, again, the survivors were driven back to their ships, which they presumably boarded and used to return to Lacedaemon. There is not a word about dying to the last man. Nor did “death rather than surrender” become the standard for future Spartan commanders after Thermopylae. 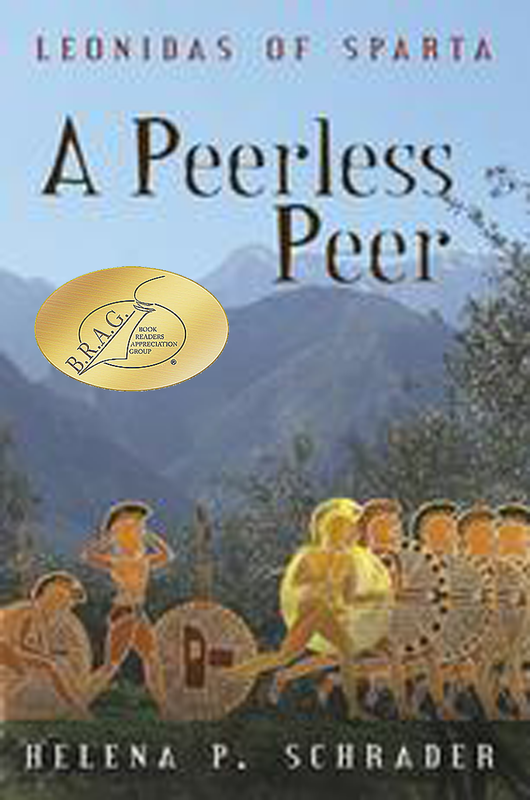 The history of the Peloponnesian war is littered with Spartan defeats; none were massacres. Even in the infamous case of 120 Spartiates trapped on the island of Sphakteria, the record shows that they surrendered and were taken off into (brutal!) 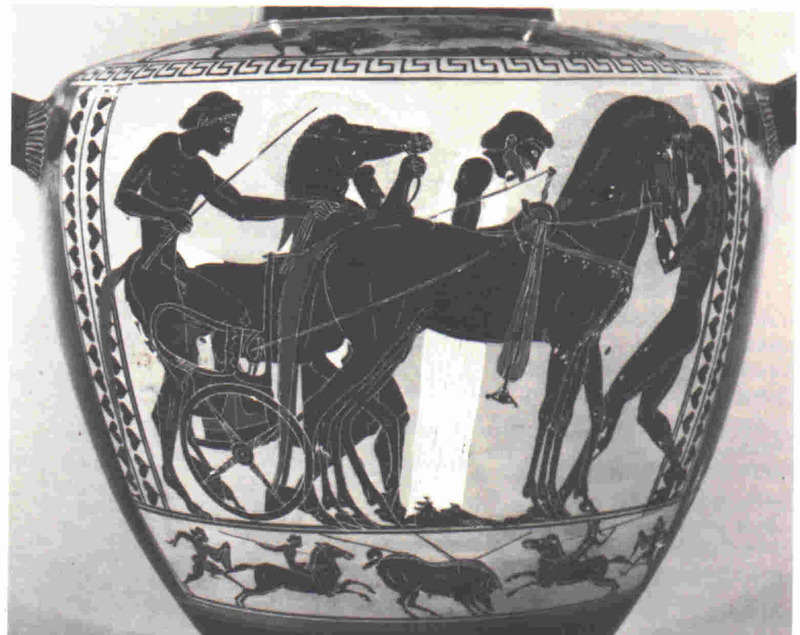 Athenian captivity. Nor were they written off by an indignant population as cowards, "tremblers" or otherwise disgraced and worthless. Had they been so viewed, Sparta would not have sued for peace and made serious concessions to Athens to have them returned. Even their collective degradation from full-citizen status on their return is not indicative of disapproval of surrender. On the contrary, it more likely reflects fear that men who had been in Athens for almost four years might have become subverted (brainwashed, is the Cold War term) by Athenian democracy. After an unknown period, they were collectively reinstated, and some even ran for public office. That would not have been possible, if the majority of Spartans had felt they should have committed suicide rather than surrender. Leonidas’ legacy was not one of blind, mindless self-sacrifice. His example was one of devotion to duty, even unto death, for a good cause. Leonidas did not die for the sake of dying – much less take his comrades with him to a senseless death. He had clear military objectives that he hoped to achieve by his last stand: 1) giving the other Greek contingents time to withdraw and live to fight another day, and 2) increasing Persian respect for/fear of Spartans. Once the pass at Thermopylae was turned, Leonidas knew the Persian army would advance unopposed into Central Greece. He could not know where it would next be confronted by land-forces, but he must have feared that it might sweep through Central Greece to the Isthmus of Corinth. He must have feared that Sparta might find herself virtually alone facing the onslaught. Anything he could do to make Xerxes hesitate to take on a Spartan army must have seemed worthwhile. That is a legacy worth preserving. Last but not least, as a devout Spartan, Leonidas undoubtedly believed he had to fulfill the Delphic Oracle. He knew he had to die, if Sparta was to be saved. In that sense, he was from the start a sacrificial lamb, but not until the position at Thermopylae was betrayed, did his sacrifice inherently encompass defeat as well. He probably hoped when he set out for Thermopylae that he could die in a victorious battle – or at least an indecisive one. He certainly hoped and expected that alive or dead his advance force over 6,000 strong could hold the Hot Gates until Sparta’s full army could reinforce the advance guard. When it became clear he would die in a hopeless situation, he tried to minimize the losses by ordering the withdrawal of the allied contingents (and almost certainly all the Perioikoi troops that would have been with him). He even tried to save some of the Spartiates by giving them dispatches for delivery somewhere. They saw through him and refused. They refused out of loyalty, out of friendship, out of personal affection for Leonidas, both the man and the king. They did not act for military reasons but for personal ones. Yet their legacy too is worth honoring. 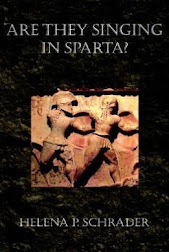 Sparta's culture and military ethos are a fundamental focus of my three part biographical novel of Leonidas.